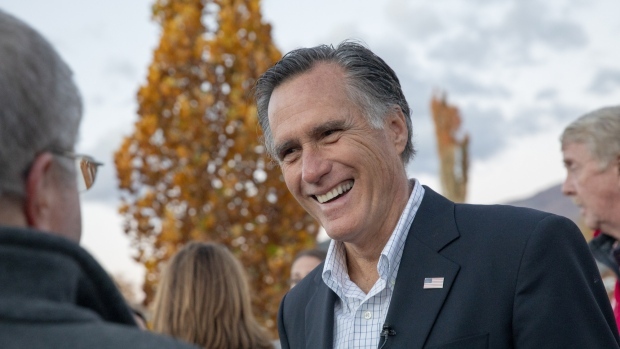 (Bloomberg) -- Mitt Romney was elected to represent Utah in the U.S. Senate this week. Now Marriott International Inc. is losing a board member. Romney said he is resigning because his new job means he won’t be able to “commit sufficient time and attention to Marriott and its shareholders,” according to a filing. The company reduced the size of its board from 14 to 13 directors. The former presidential nominee has been juggling public service and board commitments to Marriott for years. He first served as a Marriott director from 1993 to 2002, leaving after being elected governor. He served again from 2009 to 2011, ran for president, then rejoined the hotel company’s board in 2012. Romney’s connection to Marriott predates his service on the board: His given name, Willard, was in honor of J. Willard Marriott, a friend of Romney’s father and founder of the hotel company.